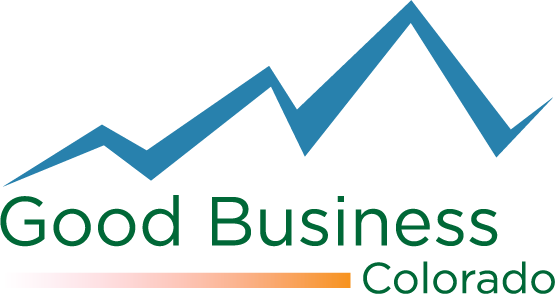 We at Horse & Dragon firmly believe that all businesses have a responsibility not just to their financial bottom lines, but to their social and environmental ones. We realize that to stay in business we need to build a company that is financially sound. It should be equally apparent that if we don't take care of people and the planet, none of us will stay in business. We didn't enter business to make a profit -- we entered it for love of the product and our community. So we use our product and our dollars to support people (both on our team and in our community) and environmentally sound practices. We've got 4 principles underpinning our company. 3. Reduce our negative impact on the environment wherever possible. 4. Be proactive members of our communities. Here's what we're doing to address #3. Please let us know if you have further suggestions! In 2016 we became an EPA Green Power Partner business, offsetting 100% of our energy usage from wind power through Arcadia Power. Horse & Dragon has been a member of Climatewise, since 2014 (when we opened), and achieved Platinum level membership in 2015-2018. 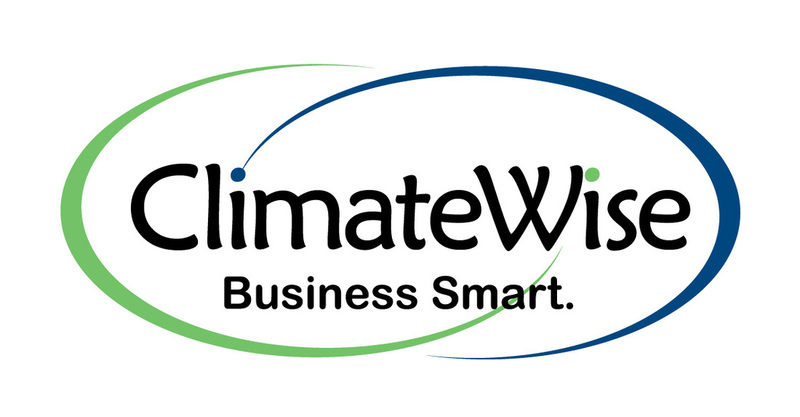 For more information on how Climatewise helps Fort Collins businesses reduce greenhouse gas emissions and save money, please check them out! In our remodel to turn our building (originally an airplane hanger) into a brewery we committed to installing all LED lighting, which uses about 75% less energy than traditional bulbs. You can do the same in your home, saving on your electrical bills and helping us all out. The City of Fort Collins has partnered with local retailers to offer reduced pricing on CFL and LED bulbs -- check it out at this link. We also discovered by accident how incredible natural lighting is here in CO, the land of 300 suns/year, because our old warehouse had translucent panels. When we were working on the building, we often worked electricity-less and still had plenty of light. So we added simple "skylights" (additional translucent panels) to the other buildings and love the number of times we can leave the lights off. Fossil fuels: We do have a gas-fired boiler. Taking advice on how to curb usage there! 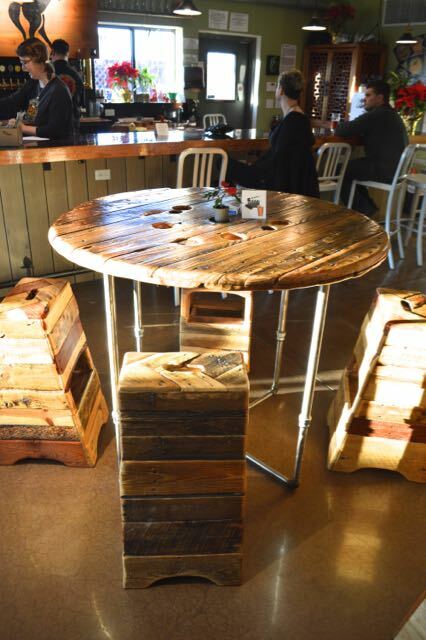 A bicycle is definitely the best way to experience the Fort Collins brewery scene! Please bike in and see us. When you do, let us know at the bar that you cycled in and record your mileage -- every quarter we publish how many pounds of CO2 y'all have saved us all by bicycling instead of driving. We were designated a Silver Bicycle Friendly Business (as deemed by the League of American Bicyclists) in 2015. We have allowed our certification to expire (we're happy to talk about why if you want to come on in) but are still members of the League to support their advocacy work and we continue to work on improving our bike-friendly efforts here. We offer incentives to our employees to bike to work. We love the Fort Collins Bicycling community and often host meetings for cycling groups. We offer CPSC and ASTM-approved bicycle helmets and pairs of front and back 5-LED light sets (with batteries included) in the taproom at cost (helmet = $10, set of lights = $10). 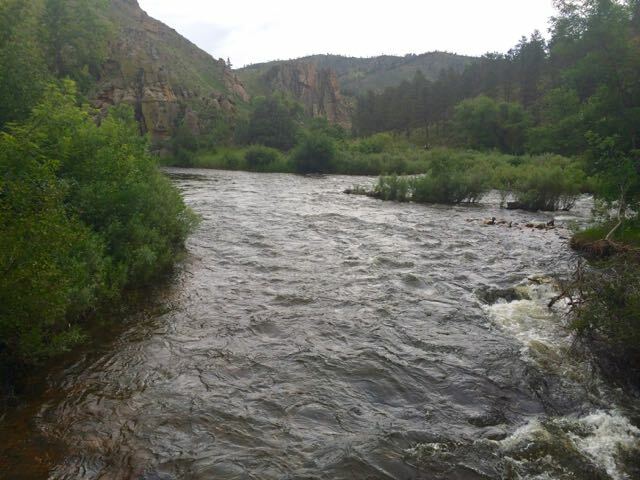 Water: Water is our most important ingredient, and a commodity that will become more and more scarce as the Front Range continues to develop. We are constantly looking for affordable ways to conserve, reuse, and bolster the health of our watershed. We are members of BreWater, a local organization welcoming all brewers in the greater Fort Collins area to gather quarterly to hear from local water experts, share best practices, and unite on watershed initiatives. In building the brewery, thanks to advice from a larger and long-established brewery in town we committed to an oversized hot liquor tank (45 bbls vs. the 30 we originally planned for) in order to capture and reuse all of the water we use in cooling our wort. That water travels through a heat exchanger to the hot liquor tank and is ready to be used in the next brew or in cleaning the tanks. In our remodel, we installed low-flow toilets and faucets in the taproom and brewery. Our (admittedly super-modest!) 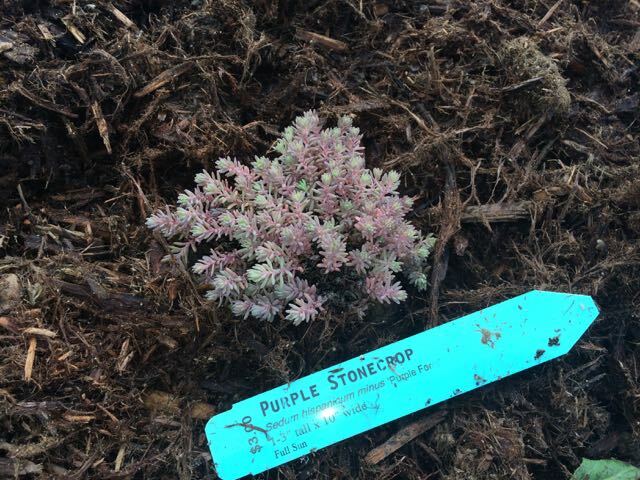 landscaping is rife with drought-tolerant plants from the Gardens on Spring Creek (check out this FoCo City Garden -- they are beautiful and a wealth of info from friendly experts). Our still unnamed "giant" hot liquor tank. 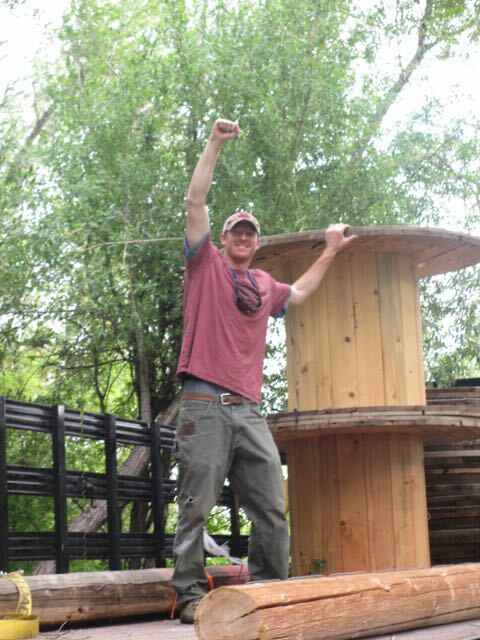 Lucas Mouttet of City of FoCo Utilities tells us what's what in the Cache la Poudre River Watershed. We've joined the newly-formed (2017) Western Rivers Brewers' Council, a part of the Audubon Society of Arizona, and look forward to becoming more active with our down-river states (and Mexico!) united in the Colorado River Basin. ​The Gardens on Spring Creek are a haven and a wealth of information for anyone living in an arid climate. Check them out for ideas, low-water/drought-tolerant plants, and a bunch o' smart folks full of advice! ​Did you know that only about 10% of the glass you put in your single-stream recycling container for curbside pickup in FoCo is actually recycled? And that only about 17% of glass nationwide is? Thanks to the good folks at Clear Intentions in Denver, we have Classy Glass Station #6 in our parking lot. BY ALL MEANS, save your glass and bring it in at any time to slot it into their collection bin. They will pick it up and it will be re-used in new glass. Whoop, whoop! We take everything they can accept to Waste Not Recycling (and they'll accept some interesting things -- oxygen-proof hop packaging and plastic weave grain bags, for example). Every time we brew, Aaron arrives with his trailer from Jodar Farms. He takes our grain to help feed to his chickens and pigs. If you ever enjoy a Jodar Farms egg at one of our great local restaurants, know that a tiny bit of H&D love probably went into making that egg! We are happy to serve as a gathering place for people concerned about resource use. If you've an idea for some educational meeting or community effort, let us know!